The camp was built on top of Hopewell Native American mounds in the area. Some of these mounds had been destroyed by agriculture over time, but others were bulldozed to make way for the 1,370 buildings constructed at Camp Sherman. The camp was organized like a small city. In addition to barracks and offices used by the soldiers, there were theaters, a hospital, a library, a farm, and a German Prisoner of War camp. 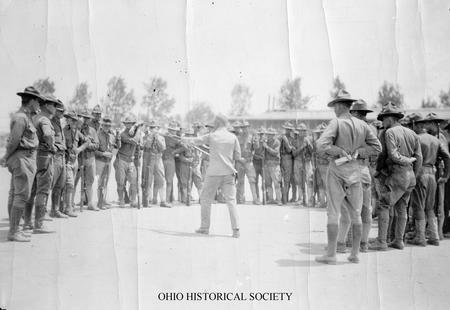 German POWs remained at Camp Sherman until September 1919, several months after the war had ended. There was also a railroad system, and the camp had its own utilities system.